Elanza Crest, B - 003, Ground Floor, NR. HOF Living Besides Sigma Corporates, Sindhu Bhavan Road, Off S.G. Highway, Bodakdev Road, Ahmedabad – 380054, Gujarat, India. 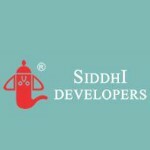 Welcome to Siddhi Developers; the group is committed towards shaping dreams and transforming lives. The venture got its shape 17 years ago with a commitment for quality and innovation. Each passing year has witnessed a new chapter of success in this saga of milestones. We not only strive for excellence but also try to exceed our customers’ expectations. Siddhi has earned the respect and love of its customers with an array of projects. We are a full-service organization with in-house architects, engineers, interior designers and construction crew. Siddhi believes that the right combination of innovation, experience and dedication helps you to conceptualize and realize projects that fulfill the needs of its inhabitants. Today, we have developed over 4.5 million sq.ft. of land and constructed properties which span across residential bungalows, residential plots and commercial complexes. Most of our projects are setup in the plush Bopal area, one of the most desired residential locations in India. Some of them are major landmarks in the area. One of the newer ventures include STARZ Club, a foray into club entertainment. It features the very best of sporting, leisure and dining facilities in the state. In the near future, we aim to unravel more of our services and expand and upgrade Ahmedabad’s lifestyle, both residential and commercial.